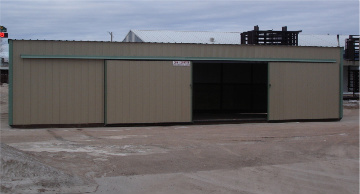 Enclosed Building with alley way and pens. 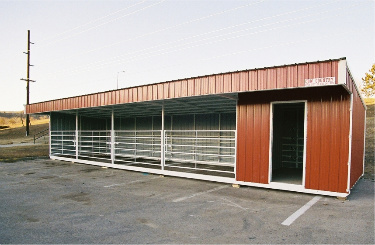 This is a 40' building, with drop down calf doors. then put back up for larger livestock. 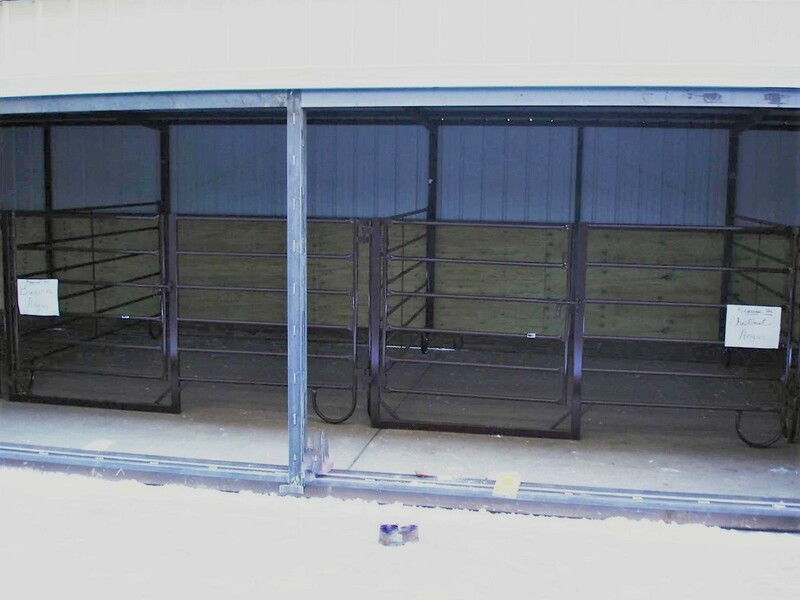 keep snow off the calves. This is a 40' open faced building with pens. 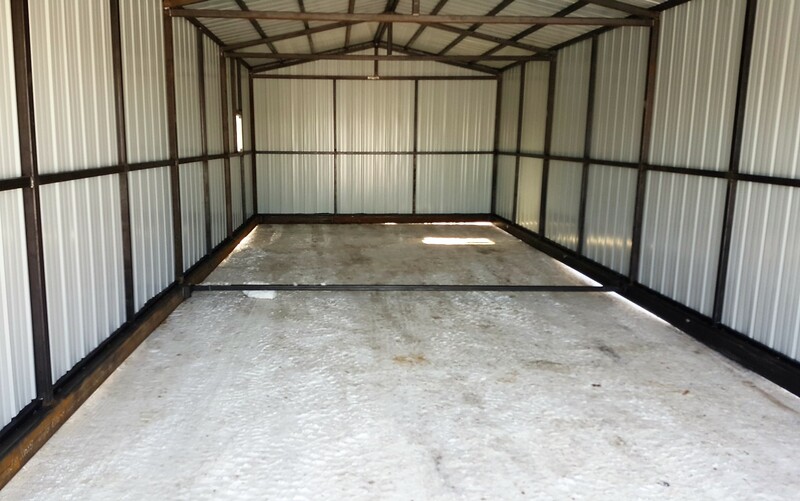 Need a garage? 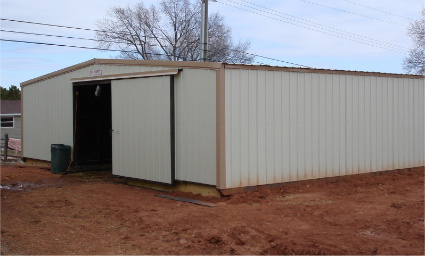 We build them too! 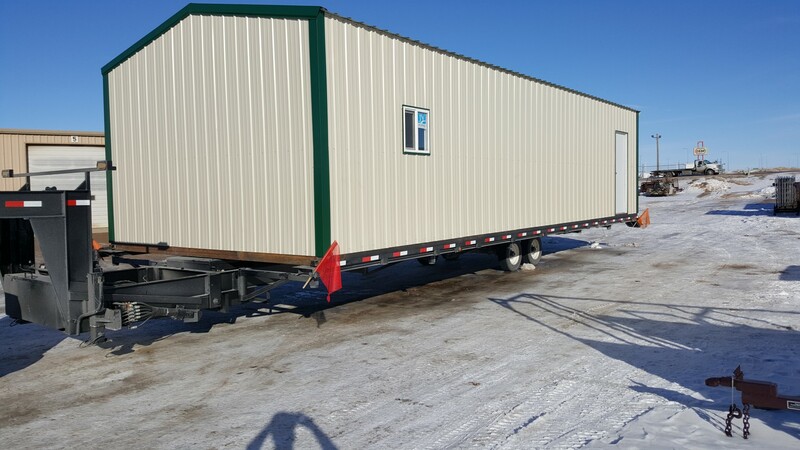 One piece building can be delivered to wherever you want it. 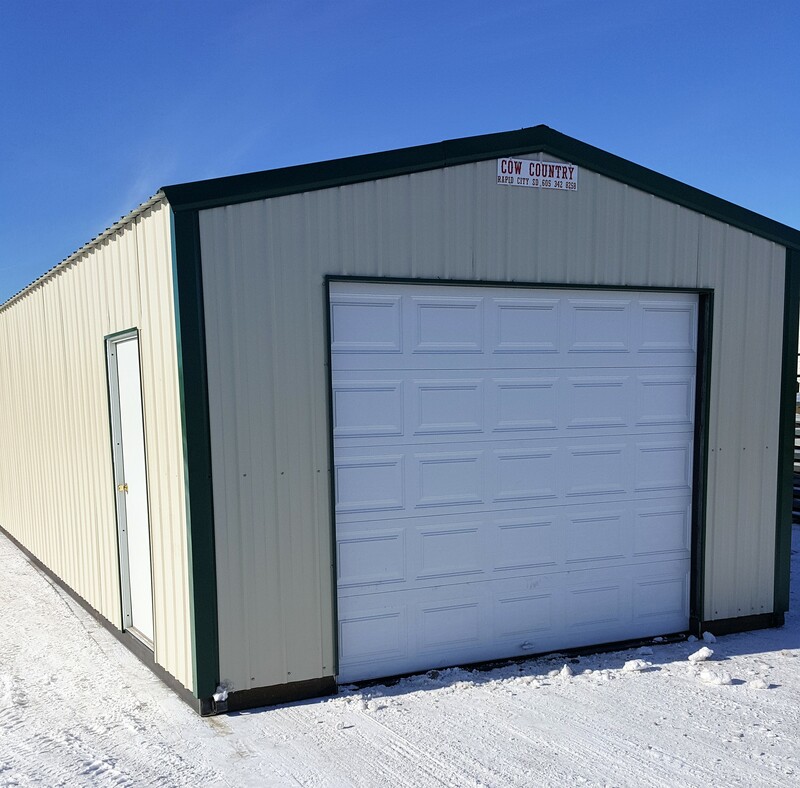 Keep that feeder truck or skid loader inside the garage. This garage is 16' wide 40' in depth. The structure is built entirely of steel. 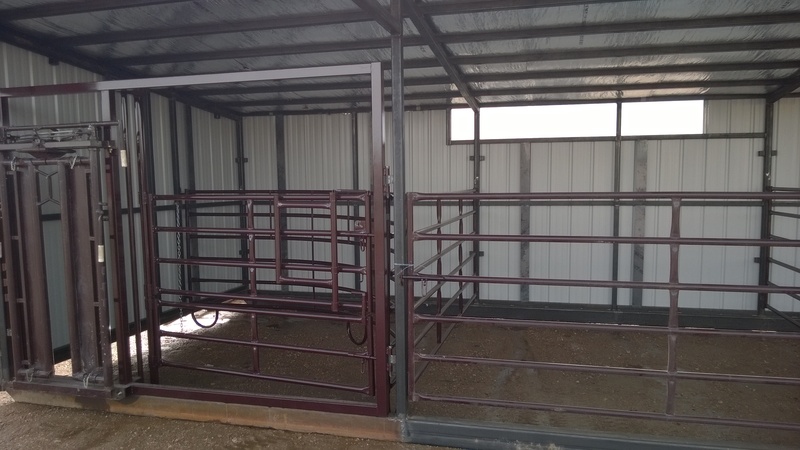 This is an example of our complete barn. 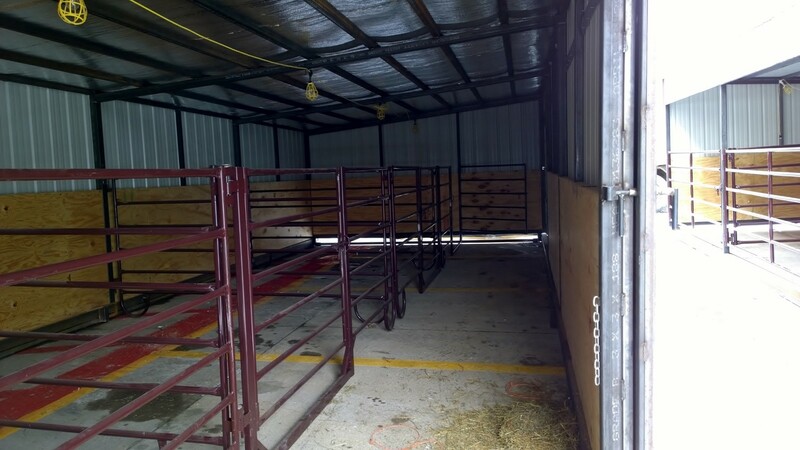 This barn has two 8' sliding doors on opposite sides. 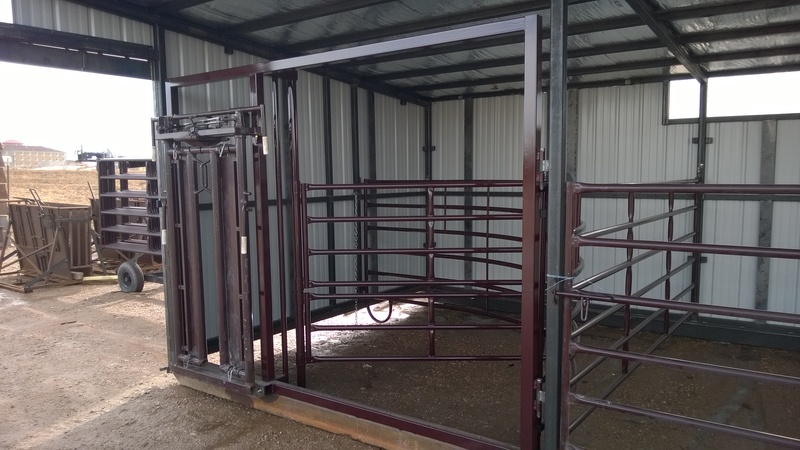 Calving Chute Installed in Complete Barn. 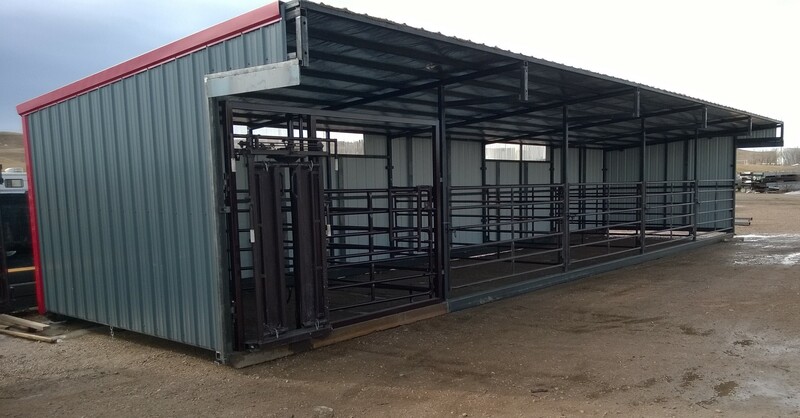 We can also add pens, gates and dividers, and many other options.